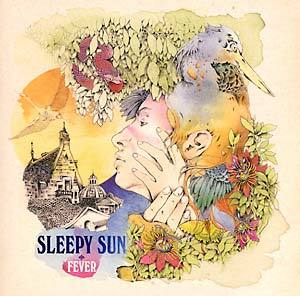 "Sleepy Sun is a California band from many Californias. They hail from the rolling oak and sage hills of Sierra Gold Country, The San Francisco Peninsula, where Kesey raged and the Dead were once Warlocks, and the forever-sunshine climes of the Southland. They came together -- young and garage strutting -- in the coastal Northern California crucible of Santa Cruz. And there they birthed the Sleepy sound -- dead blues shaken alive, razor sharp and ramblin', soul, sonic science and dead-on pop surgery. Wooden, earthy, stratospheric, and swinging California music of beautiful contrasts for conflicted times. Now, two records into a frighteningly fast-blossoming evolution, Sleepy Sun are a living machine of fire and focus. Their first release on ATP records Embrace illuminated the golden path to Sleepy land -- hard-riffing, delicate, dreamy and cultivated. The latest ATP release, Fever, is arrival at the palace the path promised. Fever is the honey harmonies and danger wailing of Bret Constantino and Rachel Williams pulled from a tender tangle into steel-strong braid; the wing-on-wing guitars of Matt Holliman and Even Reiss in screaming dives and sweet ascending circles; the lowdown served up tough and thundering from drum and bass authorities Brian Tice and Jack Allen."